As a user of the web site gwatchexchange.com collectively, the (“Service”), your privacy is of the upmost importance to us, and your continued trust in us is a commitment we take very seriously. We want to give you, the consumer, a better understanding on how we collect, use and protect the personal information of those using the gwatchexchange.com. Service. What personal information does goldmanwatchexchange.com. collect and how is it used? Data you post on goldmanwatchexchange.com, or send us directly or through other sites such as name, address, email address and/or phone numbers. We may use information in the aggregate to understand how our Users as a group use the services and resources provided on goldmanwatchexchange.com. We may use the email address to send User information and updates pertaining to their order. It may also be used to respond to their inquiries, questions, and/or other requests. If User decides to opt-in to our mailing list, they will receive emails that may include company news, updates, related product or service information, etc. If at any time the User would like to unsubscribe from receiving future emails, we include detailed unsubscribe instructions at the bottom of each email or User may contact us via gwatchexchange.com. “Web beacons” (also known as clear gifs, pixel tags or Web bugs), are tiny graphics with a unique identifier, that are placed in the code of a Web page used to monitor the traffic patterns of users from one page to another within our website. This beacon helps to improve website operation. We may also allow our service providers to use unique identifiers to comprehend which emails have been opened by consumers and to track the traffic and activities on our site. Overall this helps gwatchexchange.com. measure the proficiency of our content and services. “Session data” involves many things including, but not limited to, device information, IP address, operating system and browser software information, and the actions conducted by the visitor while using the gwatchexchange.com. Service. We collect session data because it is useful to us in analyzing data such as the unique way the visitor examines the site, how long they visit and what they click on during the visit. The session data helps us diagnose problems with our servers and better manage our systems. We also use session data to help prevent fraud or unauthorized use of our site. We retain this data as long as needed for our business. What Data collected is shared to third parties? We do not share personal information (such as your email address) with these companies and we do not permit these companies to collect any such information about you on our site. Social Media: If you link your gwatchexchange.com. account to your social media account, or use gwatchexchange.com. social media features, we may access information about you via that social media provider. Information that you authorize us to access may include your name, email address, profile picture, and list of friends. How else is my Information Used? Occasionally, we may add or improve services available using the gwatchexchange.com. Service. To the extent these services are provided and used by you, we will use the information you provide to customize the service requested. We may also store such information to assist us in making the gwatchexchange.com. service better and easier to use. Except as set forth herein, we do not share your personal information with those third parties, and are not responsible for their privacy practices. We do not share your data with third parties for marketing purposes and we also do not participate in affiliate marketing. 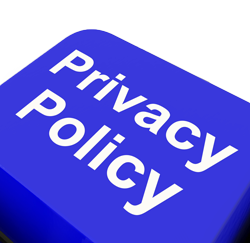 If required to do so by law, court order, or requested by other government or law enforcement authority, we may disclose personal information. Finally, we may share your information in the event of a corporate transaction, such as a divestiture, merger, consolidation, or asset sale, or in the unlikely event of bankruptcy. What safeguards are used to protect my information? While no website can assure total security, goldmanwatchexchange.com. has executed administrative, technical, and physical security measures calculated to protect the privacy information you provide to us. Only authorized employees are permitted to access personal information, and only under certain situations. In addition, we use encryption when transmitting your sensitive personal information between your system and ours. We use firewalls and intrusion detection systems to prevent unauthorized persons from obtaining access to your information. Sensitive and private data exchange between the goldmanwatchexchange.com and its Users happens over a SSL secured communication channel and is encrypted and protected with digital signatures. Goldmanwatchexchange.com is also in compliance withPCI vulnerability standards in order to create as secure of an environment as possible for Users. We do not knowingly permit the gwatchexchange.com. Service to be used by any person under the age of eighteen and we do not knowingly collect any personal information from children (meaning those younger than thirteen years of age). goldmanwatchexchange.com. You canvisit the opt out page of AdRoll and their partners’ targeted advertising. Then look for the headingOpt Out / Opt Inand then “Click here to adjust your advertising preferences”. You canvisit this page to opt out of Google advertising. By using gwatchexchange.com, you signify your acceptance of this policy and terms of service. If you do not agree to this policy, please do not use gwatchexchange.com. Your continued use of the goldmanwatchexchange.com following the posting of changes to this policy will be deemed your acceptance of those changes. These Terms and Conditions (together with the documents referred to in it) set out the terms and conditions on which we provide Quotes, purchase and sell back Sale Items and supply any of the services listed on our website goldmanwatchexchange.com (our site) to you (together the Services). Please read these Terms and Conditions carefully before using any Services from our site. You should understand that by using any of our Services, you agree to be bound by these Terms and Conditions. These Terms and Conditions shall apply each and every time you use our Services and shall apply to and be incorporated into every Sale unless we inform you otherwise. goldmanwatchexchange.com is a site operated by Dan Goldman Jewelers (we, us, our). Our site is only intended for use by residents of the United States of America. We do not accept orders from outside the United States of America. In order to use the Services offered by our site, you are required to create an account (Account) by providing us with your email address and by selecting a password which will enable you to access your Account and profile. In order to activate your account, we will need to verify your email address by sending you a confirmation email. You are responsible for maintaining the confidentiality of your Account and password and for restricting access to your computer to prevent unauthorized access to your Account. You should keep your Account and password confidential and secure and let us know immediately if you suspect any unauthorized use of your Account or that your password has become known to anyone else. You are solely responsible for all use of our Services that occurs using your Account or password. 3.1.4 you are accessing our site from a country within the United States of America. This Section 4 describes the process for selling your item to us. If you’re considering selling an item of yours to us, the first step is to supply us with a description and/or a image of the item you would like to sell and request a quote setting forth the amount we are willing to pay for such item. Upon providing us with such description and/or image, we may (i) provide you with a quote, (ii) contact you to request additional information about the item in order to provide a quote or adjust a quote already given, or (iii) notify you that we are not interested in buying the item. If and once we have provided you with a quote, you may then offer to sell us your item at the quoted price. In such case, we will send a Special Delivery Watch Pack to an address you have provided which must be in the United States of America. Upon receipt of your item(s), we will inspect it, and following such inspection, we may (i) accept your offer to sell us your item at the quoted price, (ii) reject the item and send it back to you or (iii) provide you with a revised quote based on our inspection. If we provide you with a revised quote, you may choose to offer us the item for sale at the revised quote or request that the item be sent back to you. If (i) we accept your offer to sell your item to us at the original quote or (ii) after inspection of your item we provide you with a revised quote, and you accept the revised quote, we will send you payment for the item pursuant to payment instructions provided by you. For the purposes of these Terms and Conditions, a “Day” shall mean a period of twenty four (24) hours beginning from the time of the triggering event. For example, in the event that notification (a triggering event) is given at 1 p.m., a 10 day period will expire at 1 p.m. on the tenth day. To request a quote (Quote) of what price we are willing to pay you (Quote Price) to purchase an item (Sale Item) you want to sell us, you will provide us with a complete and accurate description of the Sale Item and / or a clear photograph of the Sale Item. If we require further information before we can give you a Quote, or in order to re-evaluate a Quote we have already provided, we will inform you via email or telephone number(s) provided by you. After receiving such further information, we may provide you with a Quote, if one was not initially provided, confirm the Quote we have already provided or adjust the Quote we have already provided by providing a Revised Quote (as defined below). By requesting a Quote, you represent and warrant to us that the statements made in Section 9.2 below are true and correct. The decision of whether to provide you with a Quote and the amount of such Quote is at our sole discretion. We may decide to not supply you with a Quote for any reason or for no reason. The Quote is provided to you for the purposes of selling your item to us via our site. You may not use the Quote for any other purpose nor may you rely on the Quote for any other matter, including without limitation, for insurance purposes. The Quote is calculated by our team of valuators for the purpose mentioned above and does not necessarily reflect the actual market value of the Sale Item. If you wish to sell us the Sale Item for the Quote Price you can inform us via telephone or email within 72 hours of us notifying you of the Quote Price. If you do not notify us within 72 hours of us providing you with a Quote and then wish to proceed, we reserve the right to offer a revised Offer Price. In such case, we may, in our sole discretion, not provide you with the same Quote Price or any Quote at all. After informing us of your decision to sell us your Sale Item for the Quote Price within the above 72 hour period, we will confirm via email or telephone that we have received your decision. Please note that this does not mean that your offer has been accepted, and there is no obligation on our part to purchase the Sale Item. After informing us that you wish to sell us the Sale Item, you will provide us with details of the address to which we will send a FED-EX Special Delivery pre-paid bag and details of your chosen method of payment for receipt of the Quote Price in the event that we accept your offer to sell us the Sale Item. The Sale Item will be sent only from an address in the United States of America. It is your sole responsibility to appropriately package the Sale Item and to ensure that the Sale Item is suitably packaged before being placed in the pre-paid FED-EX Special Delivery bag provided by Us. In packaging the Sale Item you will give due consideration to the type and nature of the Sale Item particularly in terms of its handling, loading and transporting. For example, fragile Sale Items should be packaged in wooden or plastic boxes. It shall also be your responsibility to properly label the package and to provide instructions to Us for the proper and careful handling of the Sale Item. We will not be responsible for any damage caused to a Sale Item that was not properly packaged by you. If, prior to or after delivery to our address of the Sale Item by FED-EX, you are contacted by Us at any time you must contact us as soon as practicable to inform us of the details of such contact. The contents of the Special Delivery bag provided by us are insured by Us from the point of reception of the Special Delivery bag by FED-EX up to the point of signed for confirmation of delivery by Us to Our address. On receipt of the Sale Item, we will video record the opening of the package the Sale Item has arrived in and the removal of the Sale Item from its package. The video recording will be used to assist in verifying the content of the package sent by you to us. We will inspect and test the Sale Item following receipt. If the results of such inspection or testing cause us to be of the opinion that the Sale Item does not conform or is unlikely to conform with any description, specification or picture supplied by you to us or with any assumptions based on which we provided the Quote Price, we shall inform you and we shall be entitled to avail ourselves of any one or more of the remedies contained at Section 4.10. In order to verify the condition of a Sale Item or the material from which a Sale Item may be made, it may be necessary for us to conduct certain tests on the Sale Item. Such tests may result in some markings left on the Sale Item or some minimal wear to the item. You hereby agree that if the Sale Item is returned to you, we will not held be responsible for any damage to the Sale Item or loss suffered by you as a result of the testing process. By way of example, if the Sale Item is a wrist watch, its inspection and / or testing may involve it being opened. By opening a water resistant watch there is a risk that following its inspection and / or testing the watch will no longer be water resistant. If the watch is returned to you, we strongly advise you to replace the seal that prevents water from entering the watch or not expose the watch to water. We are not responsible for any losses you suffer (directly or indirectly) if such losses result from a watch no longer being water resistant after our inspection and / or testing of it. 4.8.3 revise the Quote Price and provide you with a different price we are willing to pay for the Sale Item (Revised Quote Price). Your notification to us, after your having been provided with a Quote Price indicating that you wish to sell us your Sale Item at the Quote Price constitutes an offer to us to buy your Sale Item (Offer). All such Offers are subject to acceptance by us and, in the event that we do accept your Offer, we will confirm such acceptance (if applicable) via telephone or email. The contract between us (Sale) will only be formed when we send you such confirmation (Acceptance Confirmation) that we shall purchase the Sale Item at the Quote Price. If, following our inspection of the Sale Item, we provide you with a Revised Quote Price, a contract will only be formed upon your acceptance of such Revised Quote Price. See Sections 4.10 – 4.12 below. The Sale will only relate to the Sale Item referred to in the Acceptance Confirmation. The Sale Item may be referred to by description or by reference to a unique number assigned to it. Without prejudice to any other right or remedy which we may have, we shall be entitled, at our sole discretion, to reject the Sale Item and return it to you to the address from which it was sent for any reason or for no reason. 4.10.2 provide you with a Revised Quote Price. Without limiting our sole discretion with respect to providing Quotes and the Quote Prices and Revised Quote Prices, it should be noted that for purposes of valuating a Sale Item, we may deduct up to 2% of the weight of any Sale Item provided to us (to the extent the weight is relevant for valuation purposes) if we believe that aftermarket metals, jewels or similar substances have accumulated on the Sale Item over time artificially increasing its measured weight. In the event that you decide that you would like to sell the Sale Item at the Revised Quote Price, you can inform us of such via email or telephone within seven (7) days from the posting of the Revised Quote Price in the My Account Area. Upon your notification to us that you wish to sell us the Sale Item for the Revised Quote Price, a Sale will be formed between us for the sale of the Sale Item at the Revised Quote Price, pursuant to which we will send you payment. If you do not wish to sell us the Sale Item for the Revised Quote Price you can inform us via phone or email within seven (7) days of us contacting you with the Revised Quote Price by post or email and we will return the Sale Item to you. If you do not inform us via the My Account Area of your decision to sell or not sell us the Sale Item for the Revised Quote Price within seven (7) days of us notifying you of the Revised Quote Price, you will be deemed to have declined our offer to purchase the Sale Item at the Revised Quote Price, and we will contact you by telephone or email to arrange to return the Sale Item to the address provided by you. In the event that, after three attempts, we are unsuccessful in delivering the Sale Item to you, we reserve the right to charge you for the costs associated with storing and insuring the Sale Item and we may treat the Sale Item as abandoned and may dispose of it in accordance with Section 4.15 below. If the Sale Item is to be returned to you pursuant to Sections 4.10, 4.12 or 4.13 above, and the packaged Sale Item weighs more than one .lb, we reserve the right to require you to pay any extra Royal Mail delivery charges associated with the weight of the packaged Sale Item over and above one .lb in advance of the Sale Item being returned. In such case, to the extent that the delivery charges are not paid by you, we shall be under no obligation to return the Sale Item. In the event that the delivery charges are not paid by you within thirty (30) days of our request of such payment, we may, in our sole discretion, dispose of the Sale Item in accordance with Section 4.15 below and may charge you for costs under Section 4.13. If, pursuant to Section 4.13 above, you fail to inform us within seven days of our notification of the Revised Quote Price of your decision to sell or not to sell the Sale Item and we were unable to return the Sale Item to you as described in Section 4.13, or if you fail to pay in advance any delivery charges as required under Section 4.14, we may, in our sole discretion, sell the Sale Item and transfer all ownership in it and use the proceeds of sale to pay any costs incurred by us including those listed at Section 4.13. We will hold any remaining balance for you. However, interest will not accrue to you on the balance. If the Sale Item cannot reasonably and economically be sold (for any reason whatsoever) or if it remains unsold, you hereby irrevocably authorize us to treat the Sale Item as abandoned by you and you irrevocably authorize us to destroy or otherwise dispose of the Sale Item at your cost. (vi) a copy of your identity papers, which may include your driver’s license or passport. A “working day” shall mean any day from Monday to Friday, excluding (i) national holidays in the United States and (ii) any other day on which the banks in the United States are closed. If it is found, following completion of an investigation pursuant to Section 4.16.1, that the Sale Item has been picked up by us and lost or totally and irreparably damaged (and provided that you have supplied us with the information set out at Section 4.16.1 to our satisfaction) you may make a written claim to us requiring us to reimburse you for the Sale Item in accordance with this Section 4.16.2. Following receipt of your written claim we will pay you the Quote Price or Revised Quote Price, as applicable. In the event that you did not initially provide us with a clear photograph of the Sale Item, or in the event that the Quote Price was based upon unverified assumptions by the bqwatches.com valuation team, the amount of payment for any lost Sale Item will be at our sole discretion (Discretionary Price). For the purposes of this Section 4.16, the parties acknowledge and accept that the Quote Price or Revised Quote Price, or the Discretionary Price, as applicable is fair and reasonable compensation for the loss of or total and irreparable damage to the Sale Item. If it is found that you provided us with fraudulent statements with respect to the Sale Item, its ownership, condition, shipment or otherwise, you shall be responsible for all costs, losses and damages caused to us as a result of such fraudulent statements. In the event that you make a claim pursuant to Section 4.16.2 and we reimburse you for the Sale Item in accordance with Section 4.16.2, should the Sale Item be recovered by us or our Agents, you agree that the Sale Item shall be the sole property of bqwatches.com. In the event that the Sale Item is located by you or returned to you, you shall immediately inform us and you hereby undertake, immediately upon our request, to immediately return any monies paid by us pursuant to any claim made by you under this Section 4.16. (i) We may provide a Revised Quote to give effect to the cost of repair of the Sale Item. In the event that you choose not to sell us the Sale Item at the Revised Quote, we shall return the Sale Item in accordance with the provisions of Section 4.14. (ii) We may maintain the initial Quote or provide you with a Revised Quote that does not take into account the costs of repair, in which case you shall forfeit any buy back entitlement you may have under Section 8 and shall waive any claim you may have against us or our Agents in connection with the Sale Item (including the damage). From the time we pick up your Sale Item and, unless we purchase your Sale Item in accordance with Sections 4.9 and 5, until we return it to you, we shall insure the Sale Item at a value equivalent to its Quote Price. All USPS Special Delivery bags provided by us to you are insured up to the value of $500. You may request additional insurance of up to $2500, available at the Post Office for a small fee, if required. In the event that we purchase your Sale Item in accordance with Sections 4.9 and 5, after we pay you the Quote Price or Revised Quote Price, as applicable, we will keep the Sale Item insured by a reputable insurance company for damage or theft. 5.1 The price paid for a Sale Item will be the Quote Price or the Revised Quote Price, as applicable. These prices include Tax payable (if any). We will pay for the Sale Item using the method of payment and currency set out in the My Account Area, which you may modify in the My Profile section of our site. If the method of payment selected involves any currency conversion or banking charges the payment of these will be your responsibility. 6.1 The Sale Item will be at our risk from the time it has be confirmed as delivered to us. 6.2 Subject to the right contained in Section 8, full ownership of the Sale Item shall pass to us after we pay you the Quote Price or the Revised Quote Price (as applicable). For the purposes of this Section 6.2 and Section 6.3, below, the Quote Price or Revised Quote Price shall be deemed paid on the day such payment leaves our bank account. 6.3.3 use reasonable efforts to maintain the Sale Item in reasonable condition and keep it insured, as set forth in Section 4.17, subject to requirements of applicable insurance law. 6.4 Prior to the day of purchase our right to possession of the Sale Item shall terminate immediately if we convene a meeting of creditors (whether formal or informal), or enter into liquidation (whether voluntary or compulsory) except a solvent voluntary liquidation for the purpose only of reconstruction or amalgamation, or have a receiver and/or manager, administrator or administrative receiver appointed of our undertaking or any part thereof, or documents are filed with the court for the appointment of an administrator of us or notice of intention to appoint an administrator is given by us or our directors or by a qualifying floating charge holder (as defined in paragraph 14 of Schedule B1 to the Insolvency Act 1986), or a resolution is passed or a petition presented to any court for the winding-up of us or for the granting of an administration order in respect of us, or any proceedings are commenced relating to the insolvency or possible insolvency of us. 7.1 If we have not paid for the Sale Item prior to such cancellation, we will deliver the Sale Item to you as soon as possible after receiving the cancellation notice. You will be responsible for the cost of returning the Sale Item to you. If we have paid for the Sale Item prior to such cancellation we will deliver the Sale Item to you as soon as possible after we receive from you the entire amount we paid. 7.2 To cancel a Sale as a consumer, you must inform us in writing in accordance with Section 12 below. 8.1.3 keep your profile in the My Account Area updated. 8.2.6 the Sale Item, when delivered to us, was in good condition, or, if applicable, the condition set out in the description supplied by you to us. We will use our reasonable endeavors to meet any performance times specified in these Terms and Conditions but any such performance times shall be estimates only and time shall not be of the essence for performance of the Services. Any delay by us in the provision of the Services shall not be considered a breach of these Terms and Conditions and shall not entitle any party to compensation. 10.1 Our liability for losses you or any third party suffer as a result of us or any party on our behalf breaching this agreement is strictly limited to the price of the Sale to the extent that there is a Sale. The price of the Sale shall be the price for which we agreed to purchase the Sale Item. 10.4 All warranties, conditions and other terms implied by statute or common law are, to the fullest extent permitted by law, excluded from the Sale. Applicable laws require that some of the information or communications we send to you should be in writing. When using our site, you accept that communication with us will be mainly electronic. We will contact you by e-mail, by telephone via the My Account Area or provide you with information by posting notices on our site. For contractual purposes, you agree to these electronic means of communication and you acknowledge that all contracts, notices, information and other communications that we provide to you electronically comply with any legal requirement that such communications be in writing. This Section does not affect your statutory rights. 13.1.3 in any of the ways specified in Section 13 above. 13.2 Notice will be deemed received and properly 24 hours after the email is sent, or three days after the date of posting of any letter. In proving the service of any notice, it will be sufficient to prove, in the case of a letter, that such letter was properly addressed, stamped and placed in the post and, in the case of an email that such email was sent to the specified email address of the addressee. 14.2 You may not transfer, assign, charge or otherwise dispose of a Sale, or any of your rights or obligations arising under it, without our prior written consent. 14.3 We may transfer, assign, charge, sub-contract or otherwise dispose of a Sale, or any of our rights or obligations arising under it, at any time during the term of such Sale. 15.1 We will not be liable or responsible for any failure to perform, or delay in performance of, any of our or our affiliates’ obligations under a Sale or these Terms and Conditions that is caused by events outside our reasonable control (Force Majeure Event). 15.2.1 Strikes, lock-outs or other industrial action. 15.2.2 Civil commotion, riot, invasion, terrorist attack or threat of terrorist attack, war (whether declared or not) or threat or preparation for war. 15.2.3 Fire, explosion, storm, flood, earthquake, subsidence, epidemic or other natural disaster. 15.2.4 Impossibility of the use of railways, shipping, aircraft, motor transport or other means of public or private transport. 15.2.5 Impossibility of the use of public or private telecommunications networks. 15.2.6 The acts, decrees, legislation, regulations or restrictions of any government. 15.3 Our performance under any Sale and under these Terms and Conditions is deemed to be suspended for the period that the Force Majeure Event continues, and we will have an extension of time for performance for the duration of that period. We will use our reasonable endeavors to bring the Force Majeure Event to a close or to find a solution by which our obligations under the Sale may be performed despite the Force Majeure Event. All content posted, displayed, or available on our site, including any graphics, logos, button icons, images, audio clips, digital downloads, data compilations, software, and all other content or material capable of protection under applicable intellectual property and other laws and all rights related thereto (Content) is and shall remain the exclusive property of bqwatches.com and its licensors and is protected by applicable intellectual property laws. No Content posted, displayed, or available on our site may be used except with our express written consent. 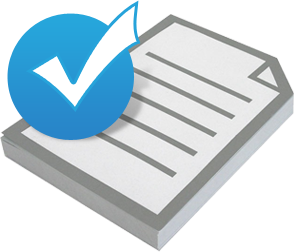 Unless otherwise agreed in writing by us, you may not copy, display, or post any Content offered via our site on any network computer, web site, bulletin board, or any other publicly accessible medium. You must keep intact, and may not remove or alter, any copyright notices posted on our site or on any Content posted, displayed, or made available on the our site. We endeavor to ensure that availability to our site is uninterrupted and that our site is error-free. However due to the nature of the Internet, this cannot be guaranteed. Your access to our site may be occasionally suspended or restricted to allow for repairs, maintenance or the introduction of new facilities or services. We will attempt to limit the frequency and duration of any such suspension or restriction. WE GIVE NO WARRANTIES WHATSOEVER IN RELATION TO OUR SITE OR ANY CONTENT, PRODUCTS OR SERVICES POSTED, DISPLAYED OR MADE AVAILABLE ON OUR SITE. WE EXCLUDE TO THE FULLEST EXTENT PERMITTED BY LAW ALL EXPRESS, IMPLIED AND STATUTORY WARRANTIES, INCLUDING, WITHOUT LIMITATION, WARRANTIES OF FITNESS FOR A PARTICULAR PURPOSE, WARRANTIES OF MERCHANTABILITY, WARRANTIES AS TO FREEDOM FROM COMPUTER VIRUSES, WARRANTIES OF TITLE AND WARRANTIES OF NON-INFRINGEMENT OF PROPRIETARY RIGHTS. WE EXPRESSLY DISCLAIM THAT OUR SITE OR THE SERVER THAT MAKES IT AVAILABLE WILL BE UNINTERRUPTED, ERROR-FREE, TIMELY, SECURE OR OTHERWISE RELIABLE, THAT DEFECTS OR ERRORS WILL BE CORRECTED OR THAT THE CONTENT OF OUR SITE IS LAWFUL, CORRECT OR ACCURATE. TO THE EXTENT YOU ARE RESIDENT WITHIN A JURISDICTION THAT DOES NOT ALLOW THE EXCLUSION OR LIMITATION OF ANY OF THE ABOVE-MENTIONED WARRANTIES, THE ABOVE DISCLAIMERS WILL NOT APPLY TO YOU. 20.1 If we fail, at any time to insist upon strict performance of any of your obligations under the Sale or any of these Terms and Conditions, or if we fail to exercise any of the rights or remedies to which we are entitled under the Sale or any applicable law, this shall not constitute a waiver of such rights or remedies and shall not relieve you from compliance with such obligations. 20.2 A waiver by us of any default shall not constitute a waiver of any subsequent default. 20.3 No waiver by us of any of these Terms and Conditions shall be effective unless it is expressly stated to be a waiver and is communicated to you in writing in accordance with Section 13 above. If any of these Terms and Conditions or any provisions of a Sale are determined by any competent authority to be invalid, unlawful or unenforceable to any extent, such term, condition or provision will to that extent be severed from the remaining terms, conditions and provisions which will continue to be valid to the fullest extent permitted by law. 22.1 These Terms and Conditions and any document expressly referred to in them represent the entire agreement between us in relation to the subject matter of any Sale and supersede any prior agreement, understanding or arrangement between us, whether oral or in writing. 22.2 You acknowledge that, in entering into a Sale, you have not relied on any representation, undertaking or promise given by us and nothing shall be implied from anything said or written in negotiations between us prior to such Sale except as expressly stated in these Terms and Conditions. 22.3 We intend to rely upon these Terms and Conditions and any document expressly referred to in them in relation to the subject matter of any Sale. While we accept responsibility for statements and representations made by our duly authorized agents, please make sure you ask for any variations from these Terms and Conditions to be confirmed in writing. If you fail, or we suspect that you have failed, to comply with any of the provisions of these Terms and Conditions and/or the Sale, we, at our sole discretion, without notice to you may terminate your Account and deny access, and you will remain liable for all amounts due under your Account up to and including the date of termination. 25.1 The Sale shall be governed by and construed in all respects in accordance with the laws of United States of America. For the avoidance of doubt, the United Nations Convention on the International Sale of Goods shall not apply to the Sale. The international rules for the interpretation of trade terms prepared by the International Chamber of Commerce (Incoterms) shall apply but where they conflict with these Terms and Conditions, these Terms and Conditions shall prevail. 25.2 Subject to Section 25.3 you and we submit to the exclusive jurisdiction of the courts of California United States of America and agree that in respect of proceedings in California United States of America and in any other jurisdiction, process may be served on either of them in the manner specified for notices in Section 13. The rights set out in this Section 25.2 are in addition to any other manner of service permitted by law at the time when service is made. 25.3 Nothing in this Section 25 shall limit our right to take proceedings against you in any other court of competent jurisdiction, nor shall the taking of proceedings in any one or more jurisdiction preclude the taking of proceedings in any other jurisdiction, whether concurrently or not, to the extent permitted by the law of such other jurisdiction. 25.4 It is your obligation to acquaint yourself and to comply with all applicable requirements and restrictions imposed by law or by governmental and other authorities or corporations relating to the possession, use, import, export, sale or resale of the Sale Item. It is your obligation to ensure that no Sale Item is exported or imported in violation of the laws of any jurisdiction into or through which the Sale Item is transported during the course of reaching us or you.